He was preceded in death by 1 son: Jesse Todd Duncan, 1 brother: John Duncan and 1 sister: Minnie Lee Duncan Drury. Funeral services will be 2:30 P.M. Wednesday, July 25, 2018 at Goad Funeral Home with Bro. Gary Sullivan officiating. 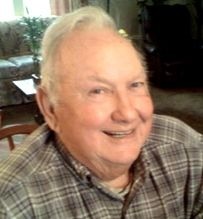 Visitation will be after 11:30 A.M. Wednesday until funeral time at Goad Funeral Home. In lieu of flowers, expressions of sympathy may take the form of donations to the Gideons. Donations may be made at Goad Funeral Home.